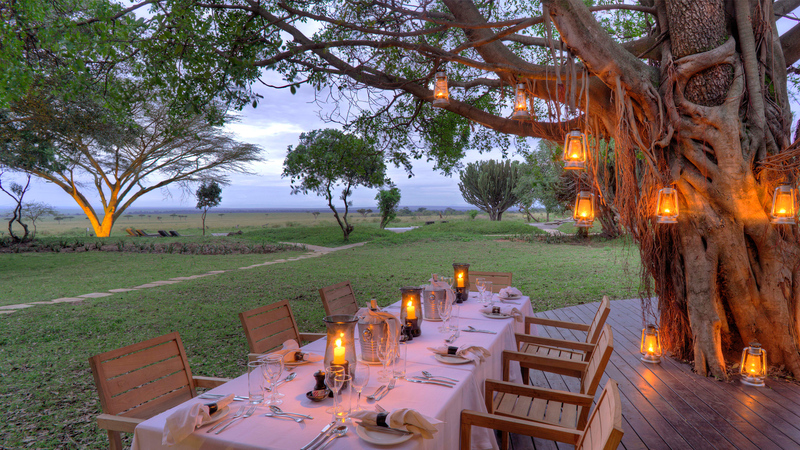 Kichwa Tembo Tented Camp is a popular safari lodge‚ situated on the spur of the Oloololo escarpment of the Great Rift Valley‚ with spectacular views across the open plains of the Maasai Mara national Reserve with its many wild animals. Kichwa Tembo has 40 “Hemingway-style” safari tents with private shower‚ toilet and private terrace overlooking the savannah. All safari tents overlook park. The tents are tastefully furnished with African furniture and art objects. Upon arrival at the airstrip‚ you will be met by a driver/guide who will transfer you to Kichwa Tembo Tented Camp to check in. From the airstrip you will enjoy a short game drive viewing. After lunch you will depart for a late afternoon game drive or enjoy other activities offered at the camp. Enjoy your final day in the Mara after the morning game drive. You can sit and relax as you wait to be tranfered to the airstrip for your flight back to Nairobi.